We have shared below all Word Tower Crosswords Answers. Word Tower Crosswords is the newest released game by Second Gear Games which have also created the most famous game ever 22 clues. 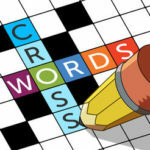 In Word Tower Crossword you need to solve all the levels by finding the answer for each crossword clue.